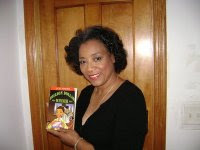 Arlene Jones - Featured Columnist Austin Weekly News: Feds Talking To The Ten! City Hall late this afternoon released copies of defense subpoenas seeking the testimony of 10 aldermen in the case involving an indicted developer. The subpoenas, issued by Calvin Boender's defense lawyer Joe Roddy, seek testimony of nine current aldermen—Ed Smith, 28th, Bernard Stone, 50th, Edward Burke, 14th, Walter Burnett, 27th, Emma Mitts, 37th, Ricardo Munoz, 22nd, Patrick O’Connor, 40th, Helen Shiller, 46th, Eugene Schulter, 47th—and former Ald. William Banks, 36th. In May, a federal grand jury indicted Boender and Ald. Isaac Carothers, 29th, on charges stemming from Boender’s efforts to develop a 50-acre industrial site on the West Side. With Carothers’ support, Boender successfully rezoned the site in 2006, allowing construction of a residential and commercial development known as Galewood Yards. Prosecutors allege that Carothers accepted $40,000 in home improvements and other gifts in support of zoning changes for Boender’s property. Boender was charged with one count of paying a bribe and four counts of wire and mail fraud. Boender and Carothers are scheduled to go on trial in March. City Hall released copies of the subpoenas to the Tribune in response to a Freedom of Information Act request. Karen M. Coppa, chief assistant corporation counsel, wrote: “It is important to note that these subpoenas in no way indicate that any of the recipients did anything improper or illegal in connection” with Boender. Coppa noted that some aldermen were subpoenaed because they were members of the city’s zoning committee and voted on the Boender project. “In other circumstances, it is not clear why specific aldermen were subpoenaed for testimony,” Coppa wrote. The Tribune attempted to contact every alderman named in a subpoena after the city released the documents at the end of business hours on Friday. Most of those reached said they didn’t know Boender or remember his Galewood project coming before their committee. Mitts noted that the project at the center of Carothers’ indictment also spills into her ward. “I had to approve it for it to go through council,” she said, adding that Boender never made any inappropriate offers to her. Hey, Arlene, nothing good ever comes out of that City Council. But it's not necessarily the elected officials fault, it's the institution that's rotten to the core. But don't people really want and need corruption?